Poland, or Polska (in Polish), originated from a tribe called “Polanie”. It means “inhabitants in a field”. The Polish History is massively complicated – you can look it up and summarise it to me if you do understand what happened. The country disappeared from the map of Europe in the late 18th century. 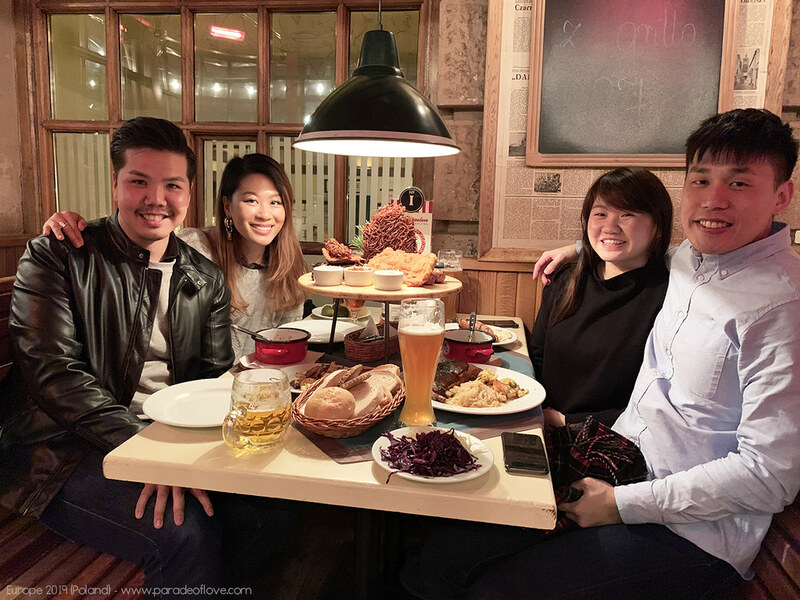 Polish food is very affordable – a meal for 2 with 2 pints of beer costs less than SGD15! Poland had the biggest mass murder during World War II (WWII). The most famous Astronomer, Nicolaus Copernicus, was Polish and he found out that the planets revolve around the sun, not the other way around! 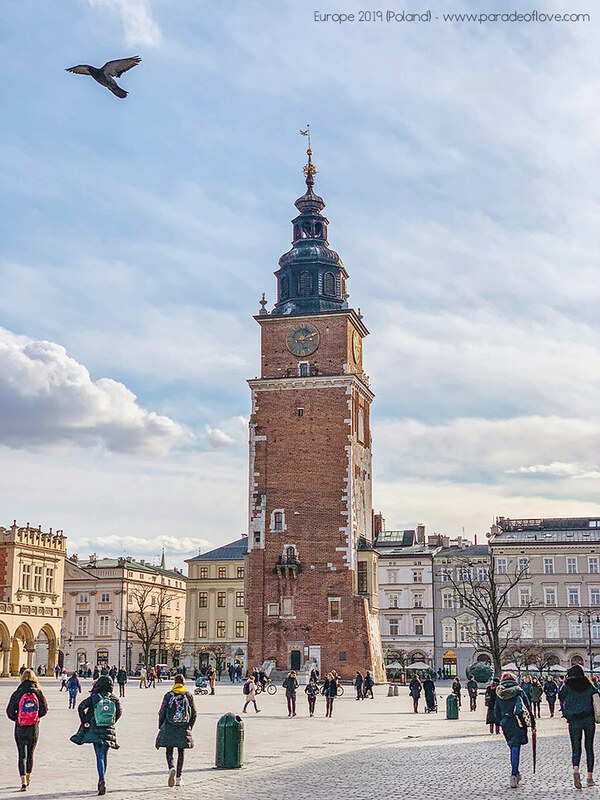 Poland is incredibly huge, but we went to the 2 most popular cities – Warsaw and Kraków. Like all tourists, we went to some sights and attractions but managed to do some exploration around the areas for good eats too. I very much prefer Kraków to Warsaw though and we spent more time there as well. Warsaw Old Town is such a beauty. Traipse through the oldest part of Warsaw, home to cobblestone alleys and medieval buildings. These buildings were reconstructed after WWII, making Old Town now a tourist spot for its ornately painted rows of townhouses. Every turn in this area brings you trinket stores, Catholic parishes, restaurants, cafés and more! 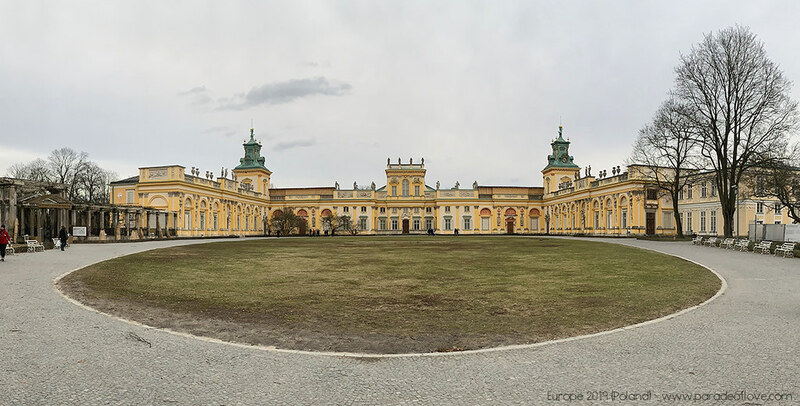 This majestic palace is a royal palace that survived Poland’s partitions and both World Wars. The baroque-styled architecture serves as a reminder of the culture of the Polish state as it was before the misfortunes of the 18th century. It houses a huge garden with a lake for your romantic couple walks. Pierogi, also known as dumpling, is one of the traditional Polish cuisines that you must try in Poland. 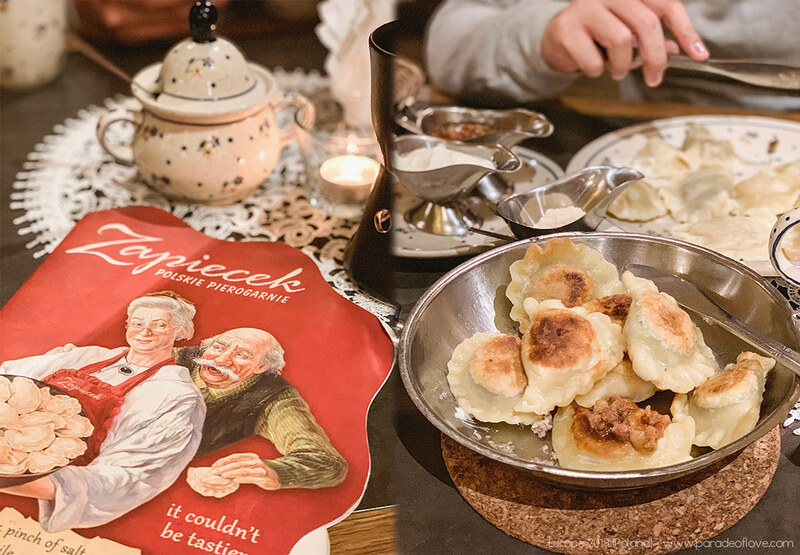 Walking through the Polish streets, you’ll be seeing tons and tons of pierogi restaurants… So where to go? 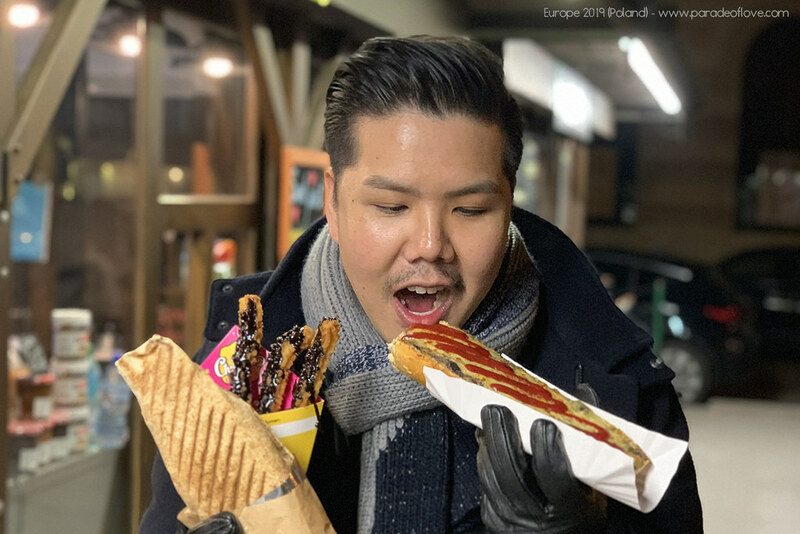 For us, we didn’t have plan on where to eat but we stumbled upon Zapiecek Polskie Pierogarnie in the Old Town Market Place. Our meal of assorted Pierogi (with different stuffings), sour rye soup, mulled wine, and hot compote drink was amazingly great to combat the Winter chills. The restaurant was completely full while we were there, so I guess it’s a good sign? Beetroot soup is something you need to have while you’re in Poland. I do enjoy having beetroot in my salads, but I never knew they could be made into delicious soups! A hot bowl of Beetroot soup can be comforting, especially if you’ve been walking in the cold wintry weather. However, the ones I’ve tried from different restaurants didn’t taste quite the same, and I’m not sure which is the most authentic. Nevertheless, I love the one that tasted slightly sour and it was from Gościniec, the restaurant I am going to talk about below. Small but quaint, this restaurant is a must-go if you’re around Old Town Warsaw. This is located somewhere outside the main square. We were hungry and somehow stumbled upon this excellent place! 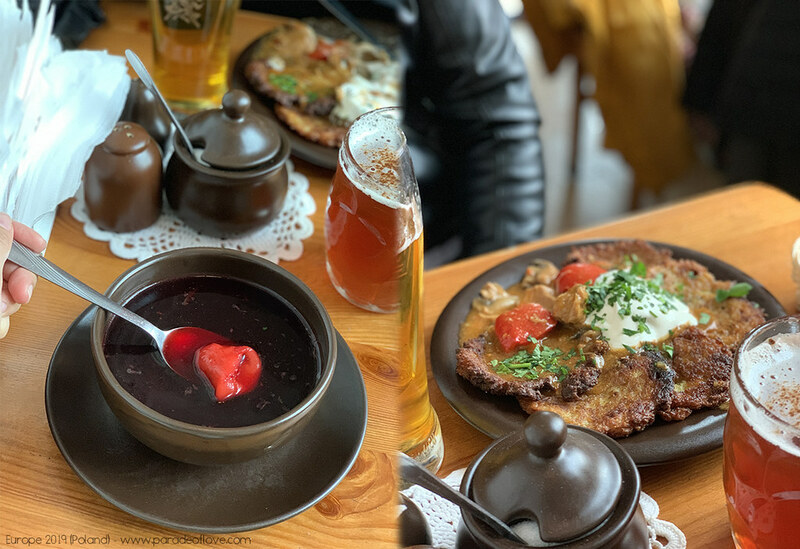 We ordered a Potato Pancakes with Pork Goulash Sauce, Beetroot Soup with Pierogi, Hot Beer and it’s the best meal I had in Warsaw! The potato pancakes were savoury and so delicious, when paired with the beetroot soup makes for a fulfilling lunch. Specifically, to combat the cold weather, I wanted hot alcoholic beverages. Most of the time I ordered either Hot Beer or Mulled Wine. Hot Beer is essentially, beer that’s been heated up. Somehow, the bitter alcohol taste gets amplified and the beverage is usually accompanied by some sprig of cloves. Mulled Wine on the other hand is a spiced fruity red wine. It’s perfect for wintry Christmas vacations in my opinion! This cuisine market is like the Polish version of our PasarBella. It’s like an atas (singlish for high class) food court with proper restaurants, bars and ice cream shops. 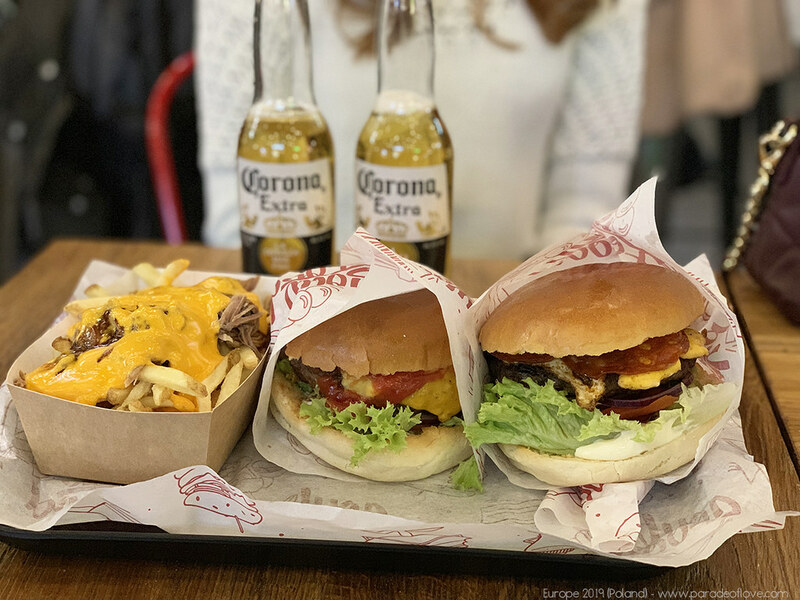 We had burgers made with fresh meat at this place called Soul Food, and it was super-yums! Highly recommend this hipster place if you want to chill with your partner/friends. Just like every other millennial, I too, look for OOTD spots whenever I travel (see: OOTD Spots in Seoul, South Korea). Some of the best places I found for OOTDs are in fact, in the “Sights to See” above. 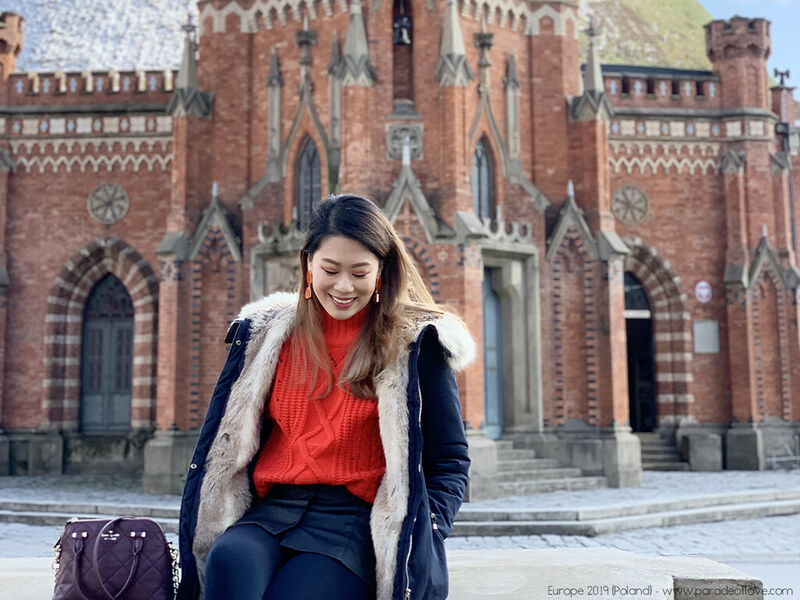 Warsaw Old Town – best place for all your “getting lost”, “coffee fix” and simply, “outfit of the day” shots. Wilanów Palace – has a garden and a gorgeous palace for couple OOTDs. Hala Koszyki Cuisine Market – there’s a nice bar for that “bar counter” shot if you’re willing to risk the whole world staring at you. The experience I had in Kraków was very different from that of Warsaw. Warsaw, as the capital of Poland, seemed much more developed than Kraków. Kraków to me, especially the Market Square, looks very medieval. If dragons exist, they would all be thriving in Kraków’s main square, haha! The main Market Square is a tourist spot if you’re travelling there for the first time. It is a also the home to many parishes, and towers you must see, including St. Mary’s Basilica, St Francis’ Basilica, The Cloth Hall, mansions and more. The Wawel Royal Castle serves as a royal residence for centuries and is a symbol of independence. This place houses a cathedral and the Dragon’s Den as well. If you have time, be sure to get up to the top for a gorgeous view! Unfortunately, the den was closed during Winter so we couldn’t get in. Read more about the interesting story here. The Mound was built to commemorate the death of national leader and hero, Tadeusz Kosciuszko. He led the Kościuszko Insurrection (or Uprising) against foreign rule in Poland. Climbing to the peak may require a bit of work but the panoramic view is a worthwhile reward. 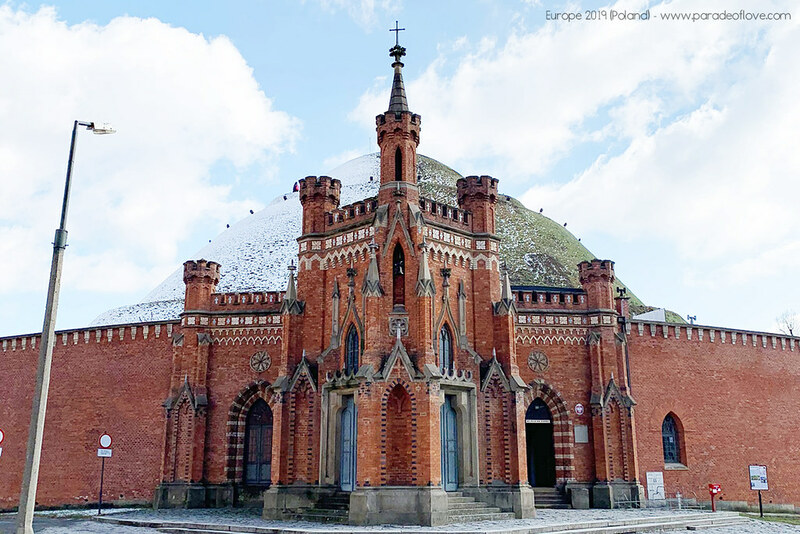 You can also visit the Chapel of St. Bronisława at the foot of the mound. 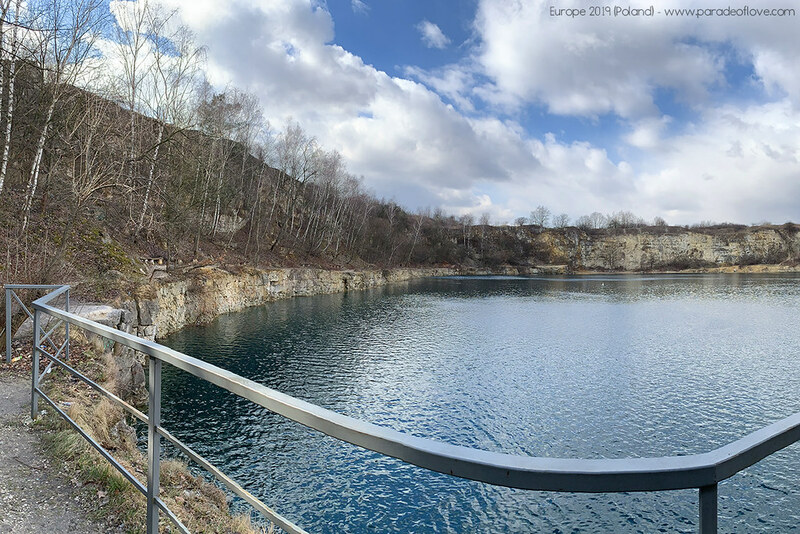 This place is a reservoir created when the limestone quarry operating here accidentally pierced the water table. It’s apparently officially prohibited but the gates to the reservoir were open. If you have some time to spare, head there and have a drink or two and marvel at the beauty of nature. It’s a great place to read a book and recollect your thoughts. If you have about 3 hours to spare, I suggest visiting the Wieliczka Salt Mine. The Salt Mine houses over 20 chambers chiselled out in rock salt, and this includes a whole chapel! 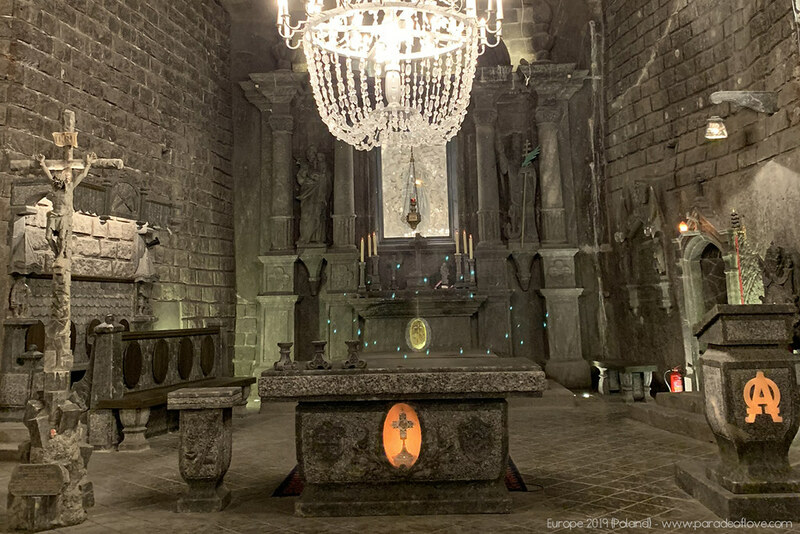 In my opinion, the St. Kinga Chapel, one that’s completely carved out of rock salt, is the highlight. You’ll even see chandeliers made out of salt crystals and amazing bas-relief carvings. The salt mine is about 30 minutes’ drive from Market Square. The highlight of the trip in Poland for me is the Auschwitz-Birkenau Concentration Camp. Before you decide that you want to visit, be prepared, and be very prepared. This place is a symbol of terror, genocide and the Shoah. It’s where more than 1.1 million men, women and children lost their lives. You will witness the living conditions, the prison chambers and walk through the stories of those who perished in this very place. You will also be seeing the belongings that these people left behind – think shoes, prosthetic legs, spectacles, hair brushes and even real hair and more. There are 2 parts to this tour – Auschwitz and Birkenau. Birkenau was the largest compound and was also the place where 90% of the people in Auschwitz died. I say, dedicate the entire afternoon for this tour and then go to a happy place for dinner afterwards, you’ll need it. The Kazimierz neighbourhood is a historic Jewish quarter, which is now a jumble of indie galleries, quirky shops, and hipster restaurants etc. We somehow found a place right in the middle that has many food stalls including kebabs, churros, zapiekarnia (roast baguette) etc. We had the BEST kebab in our lives at Kebab Pasja. It’s a must-try because the meat is so tender and there’s so much flavour packed in this giant kebab! Plus, it’s only 15zł (zloty) = SGD5, and it feeds 2. We had a friend who came here before and he recommended this place so we decided to make a visit. Pod Wawelem is restaurant that serves delicious Polish fare and local piwo (Polish for beer). There is an extensive menu and we had a HUGE meat platter for 2 that I believe should be meant for 4 or more at only 69 zł (= SGD25). If you’re in Kraków, I highly recommend to check this place out. Poland is known for its beer, especially Tyskie, Żywiec and Okocim. I’ve tried all 3 and they taste really good! Though I can’t remember the exact tastes, I recall them having high alcohol level, more than 6%. A fresh pint of beer in the cold is really refreshing! 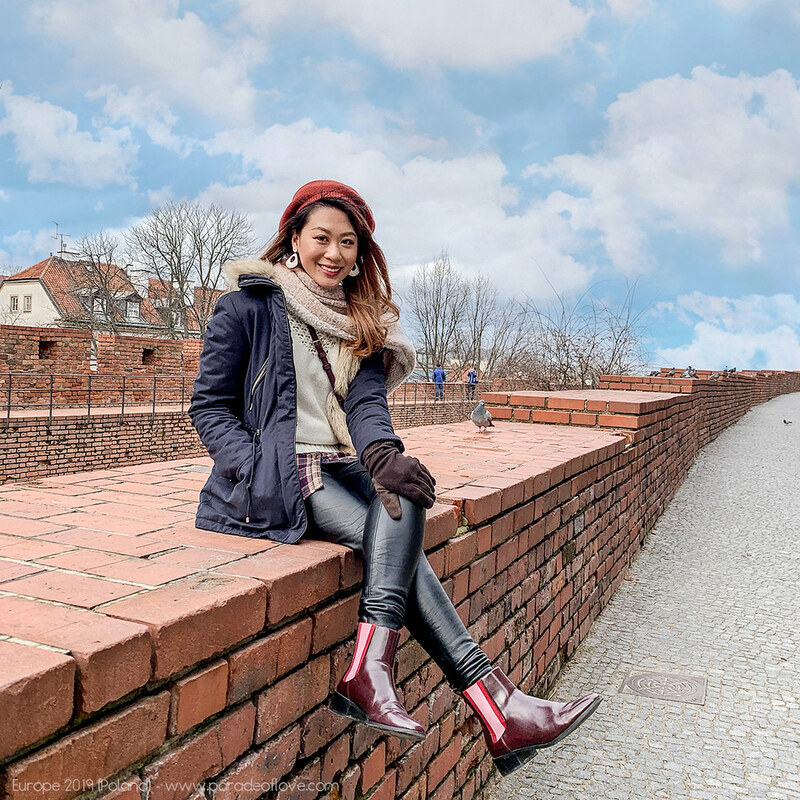 Wawel Royal Castle – maybe a “princess” shot? Kościuszko Mound – best place for views and scenic shots. Zakrzówek – for all your “emo” OOTDs. I never expected myself to visit Poland and learn so much about its history. I’m glad that I planned it in my itinerary for this trip. Even though Poland is huge, I felt that my 6 days there were more than enough. Poland is a country I wouldn’t visit on its own partly because of language barrier. I’d recommend having this destination as part of your bigger travel itinerary in Europe. Have you been to Poland? Share your thoughts/recommendations with me!